In the market for a new, bigger hard drive, but worried about porting all of your data over? Thanks to today’s discount software promotion, you’ll be able to upgrade to new hardware without risking any of your data – but only if you get a copy of Paragon Drive Copy 14 Compact! Paragon Drive Copy 14 Compact migrates your data to new hard drives, SSDs, hardware, and virtual machines. With Paragon Drive Copy 14 Compact, you’ll have access to a plethora of migration options (P2P, P2V, V2P, and V2V), plus enjoy support for drives with over 2 terabytes of capacity. A handy wizard walks you through each step of migrating your OS to an SSD, opening the door to unsurpassed levels of performance and responsiveness! Replacing an aging HDD? 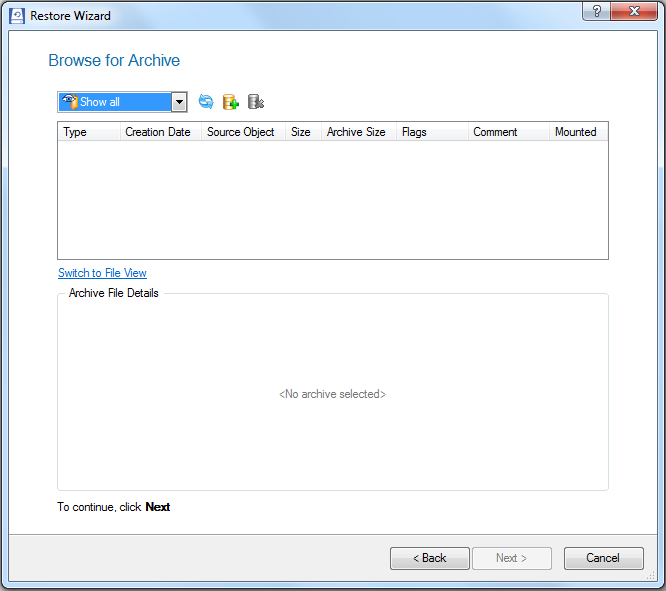 Use Paragon Drive Copy 14 Compact to create a backup archive of your drive, replace the hardware with a shiny new drive, then restore your system, seamlessly, to the new one. With support for Windows 8, there’s no better time to upgrade to new and better storage options than today, with Paragon Drive Copy 14 Compact by your side! After you purchase Paragon Drive Copy 14 Compact it may be used indefinitely. Wild Wizard Thank You For your Generous Promo !! I Would Like To Get The 64 Bit Version BUt Its Not An Option When You Go To Check Out ??? "Paragon Drive Copy 14 Compact - 64 bits ($0)"
Just Found On The Purchase Page The 64 Bit Version :-) Thank You VERY Much !! Does It Make An ISO File You Have To "Mount" Of Does It Actually Copy File By File Including Drivers O/S Etc.....So Its Just Copy And Re-Install And Everything Will Work The Same ( O/S = Win 8 64 Bit Home) ?? Wild Wizard @ Barry Barwick.....Don't Click Go To 'Website"
If You Click The Top Of The BDJ Page "Get It For Free" ( The Big Green Box).... It Will Direct You To The 2 Free Versions, Just Got The 64 Bit 1 Minute Ago...And Thanx Again To Paragon !! Luca Olivari thanks a lot! Very useful! It will copy, so it's not destructive. For example, you can copy your OS drive to new blank drive and the new drive can act as instant replacement to your OS drive. Commonly this is used to copy old OS drive to larger/faster drive and the resulting new copy is exact functional copy of old. No ISO used, all drivers and settings are naturally copied over. I used older PDC to copy my HDD to my first SSD and kept my old drive as backup for a while. Worked flawlessly, including re-aligment. I already have this (v14), so I'll skip it this time. Still, thanks for BDJ and Paragon! Glenn Hoskins Downloaded this and tried to install it, but it requires an activation code and serial number. Andy McKee Glenn and Barry you have to click the Registration page and fill in the Form on the Paragon page, then they email you the registration code. It's still free. Luca Campana I too have the "Downloaded too many times from this link" problem. Would you like to send me a direct link for both the 32 and 64 bit version? Thank you in advance. jack beal Downloaded this and tried to install it, but it requires an activation code and serial number. but it requires an activation code and serial number.!!!!!!!!!!!!!!!!!!!!!!!!!!!!!! Que La @Barry Kenyon - I have just sent you an email regarding the issue you mentioned. Que La @Glenn Hoskins - I have just sent you an email regarding the issue you mentioned. Que La @jack beal - I have just sent you an email regarding the issue you mentioned. Que La @Sylvie Cliche - I have just sent you an email regarding the issue you mentioned. jack beal Thank you very for your help. Barry Barwick Got an error on installing, running ok but shows as version 12. Que La @Luca Campana - I have just sent you an email regarding the issue you mentioned. S. Imrick Installing the software, and get this: "Component GPT-Loader is currently hidden and not available for installation. Reason: No hard disk drive which exceeds the 2TB limit was found in the system." Well, what if I have a 3TB next week? What then? I have to partition it down below 2TB? It clearly says Enjoy support for drives larger than 2 terabytes in the description. S. Imrick Installing the software, and get this: "Component GPT-Loader is currently hidden and not available for installation. Reason: No hard disk drive which exceeds the 2TB limit was found in the system." Well, what if I have a 3TB next week? What then? I have to partition it down below 2TB? It clearly says Enjoy support for drives larger than 2 terabytes. Barry Barwick Thanks, but no email received. Rick Michalek What is the difference between the Compact and Professional versions? Me Show You Hello. Got an error installing PDC14: "Error 1316. The specified account already exists." I tried running it a couple more times but get the same error. Thanks! Barry Barwick I also had error 1316, turned out I had a older version installed, once I uninstalled that v14 went on witrh no problem. User Account An apparently knowledgeable user says above ".. the new drive can act as instant replacement to your OS drive." Can Paragon describe what we have to do, if anything, when we have a computer with two active disks in it, both identical? Is it safe? Is it workable? Does the program manage it? Narful User Once downloaded, can these programs be installed at any point in the future, and still be registered, so long as they have never been installed before? In other words, can I wait until I decide I need a larger hard drive before I install and register it? BrianS Not sure if the Compact version supports creating a virtual machine file. Says it does here, but website says it doesn't--only the Pro version supports this capability. This should be clarified. Mr Dave I see the same error message as described by S.Imrick above: "Component GPT-Loader is currently hidden and not available for installation. Reason: No hard disk drive which exceeds the 2TB limit was found in the system." I share the same concern, can I reinstall this later to get the missing component if I purchase a larger drive and want to copy it (or copy to it)? 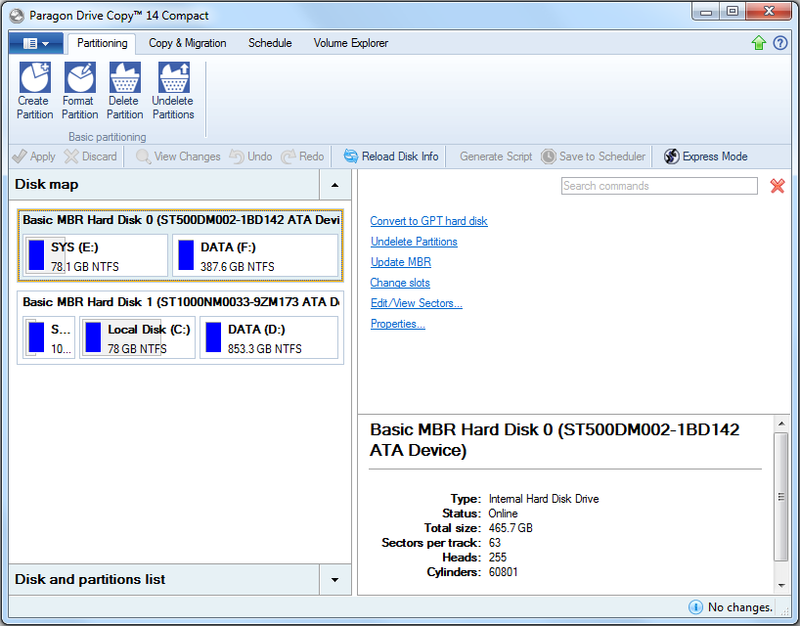 Does the 2TB limit refer to partitions or the entire disk drive? JT User I previously had version 12, and the installation displayed a prompt that it would upgrade 12 to 14. "Error 1316. The specified account already exists"
Kevin User Could you show me how to P2V my current laptop to vmware workstation? Allan Winston Kevin, I was also wondering about the P2V capability. In the headline for today's promotion, it says "Easily Migrate Data to HDDs, SSDs, and Virtual Machines". However, I did not see any P2V capability in the main menu. Furthermore, the Website link shows that the P2V capability is only in the Professional version and not in the Compact edition. Sumpra User Copying from 1 Drive to another will be destructive if you chose to "clone" partitions with partition structure. I do not think that this kind of software is for simple copying anything, it is specially for cloning partitions and harddrives. So be careful and know what you do! Cloning to virtual drives is something different, virtual drives are located either in memory or on another defined place, in most cases it is handled as a single file or directory, similar to compresion tools like ZIP. The main difference between 32bit and 64bit version of the priogram is the program size which is nearly doubled. You can download both version from bitsdujour, look at the download location and replace 64 with 32 and vice versa. You can not download it from Paragon! So if you get only the code it is useless without the proper version for installation! 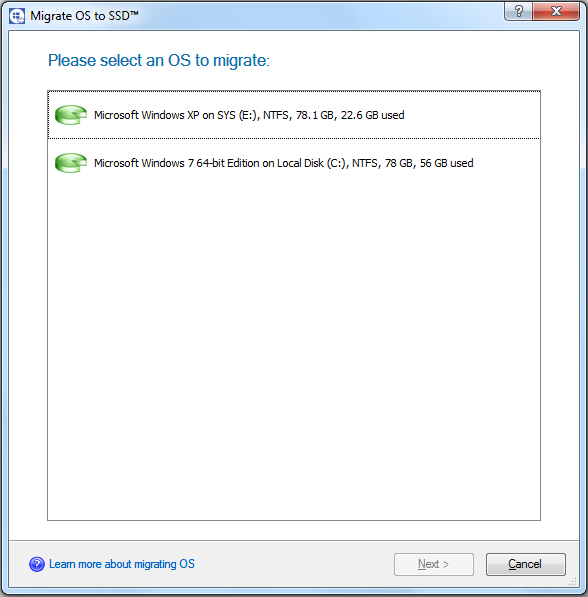 Compact in the common for Paragon giveaways means, that there is no ISO for Windows boot-media included, only Linux based boot media is possible, if any. M M Which version (Compact, Pro) do I need to copy disk encrypted by BitLocker to another disk (preferrably larger), if I cannot unlock it under Windows? I would connect it using USB or eSATA to another laptop with Windows 8. I have the code to use the laptop and can also get recovery pin, but unlocking is blocked by admin. S R One question: Will this create a bootable clone of an existing OS hard drive? George Valentine Tried to install 64 bit; after half an hour of watching the progress bar not move, I gave up . . . . .
Daniel Platten I ordered this software but no registration code comes. I went and did it again on their webpage and NOTHING! NO RESPONSE! I can not use the software because it is not registered. What a crappy way to do business. Uninstalling. Daniel Platten I have been waiting for an hour and a half for the key but nothing comes.WTF! Daniel Platten No emails received here either. Cannot register so cannot use. To contact us please write to info@paragon-software.com or use the below contact data. Instant replacement, meaning you can take out old drive and replace with new (bigger/faster) and the system will work as with the old drive. New drive is not supposed to be used with old drive, but instead of it. 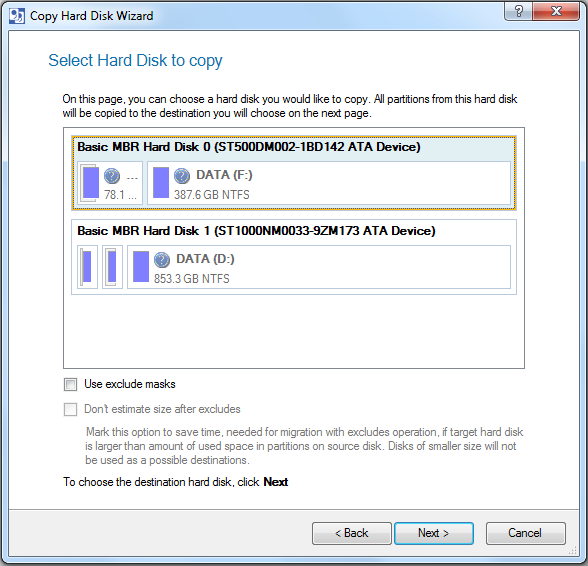 As far as I know, RAID (mirroring) would be only reason to use to identical drives. 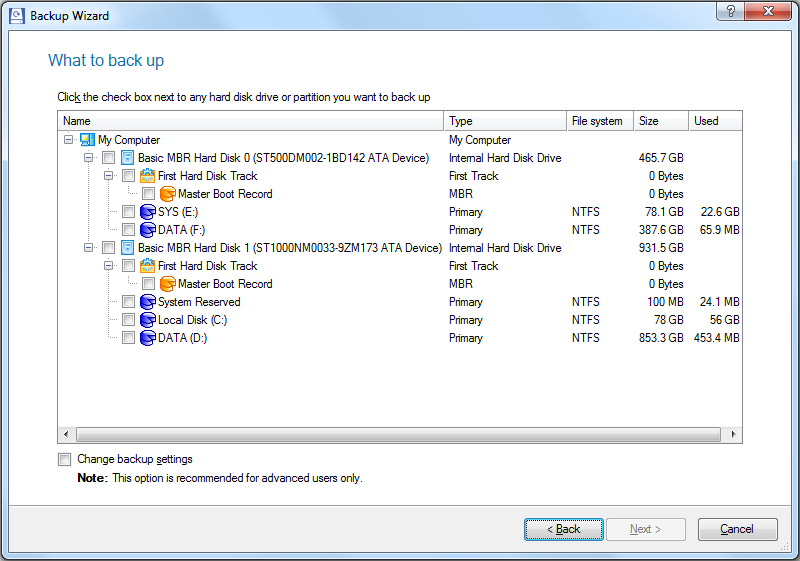 I never tried to set second drive to "None" in BIOS and keep using old drive to swap drives later via BIOS. Then again, I think RAID (mirroring ) would be better for that. If you copy the partition structure to target drive, the data on target is naturally destroyed. After all, doing so overwrites the partition table of the target drive and the old partitioning would be lost. - Source drive data is not destroyed. Copy vs. move. - Target drive is meant to be empty, I.E. new drive. - Copying partition structure will destroy target data. However, perhaps Paragon could confirm (or deny) that if target has unpartitioned space, you can copy partition without partition struture from anothe drive to it? It seems logical, but I've never tried it. Constantin Florea @Daniel Platten - Based on your comments I assume you have trouble receiving the registration information after trying to register on the Paragon site. I have contacted the vendor about your issue as he will be able to send the registration email. Flo I downloaded the software, but also received no registration code. Why are these individually re-sent to people who complain here, as it appears to be a universal problem? Anyway, after reading all the comments here reg. various problems with this application I am very tempted to not even attempt to install it and to look for an alternative. Too bad. Ma Mo where is programme to download? Don Eveld No email received and no registration code either. Sent information twice with no response. E User Same problem as other commenters. Downloaded software, clicked register link, filled out registration request, but did not receive email with product code. GPT Loader driver is not required in Vista+ system since there is native GPT support. It will be installed only in Windows XP. Sorry for inconvenience. If you have previous version of Drive Copy installed, please unistall it to avoid this error. Constantin Florea We have just resent the receipt emails to all of you commenting above and requesting it. Please allow for 10 minutes and if you do not receive it let us know either by commenting here or by sending an email to notify bitsdujour.com. We have also contacted the vendor for those mentioning that the registration email was not received. Only the vendor (Paragon) can resend the email with the registration information which can be used to unlock the Compact version..
Don Eveld I still have not received the email. charles User Downloaded this and tried to install it, but it requires an activation code and serial number. 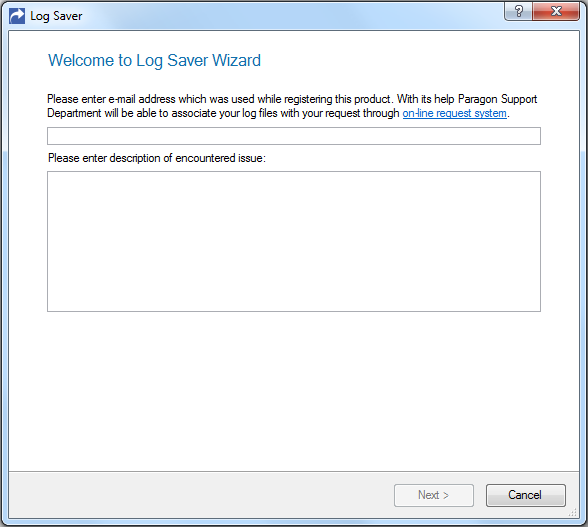 Paragon Software To get the registration info just click "Registration" button after install http://take.ms/7uQYF, fill the form on a regpage and get the info to your mail.